Congratulations to senior CJ Licata, named Indoor Track & Field Athlete of the Year by NJ.com. Licata posted a season for the ages this winter. The Princeton-bound senior began with a first-place showing at the Bishop Loughlin Games in December and went on to claim first in every meet leading up to the nationals. In February, Licata returned to familiar territory in the NJSIAA Meet of Champions. In the winter of his junior year, he had placed third, and last spring, he took second at the event. First place seemed inevitable, and this winter, Licata garnered the formerly-elusive top spot with a phenomenal throw of 62-7.75. 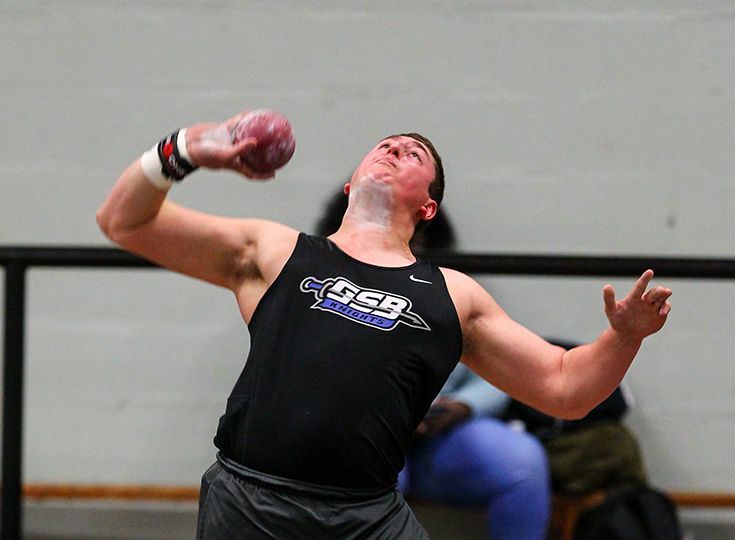 Licata consistently threw 60 feet or more this season, with his best performance a 64-5.5 throw at the Molloy Stanner Games in January to set a personal record. In March, Licata closed out the season with a 10th-place finish at New Balance Nationals. While not the season finale he hoped for, Licata came away with renewed determination for a stellar spring season—one which Knights fans eagerly anticipate.